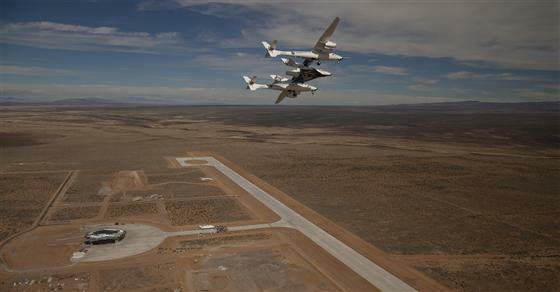 The same day that commercial spaceflight supporters were celebrating the development of Spaceport America, a new study concluded that suborbital flights that facility will host could alter the planetâ€™s climate. Jeff Foust examines the latest research and some of the issues associated with the study. Thirty years ago this week Voyager 1 made the first close flyby of Titan, Saturnâ€™s largest moon and one of the most intriguing worlds in the solar system. Andrew LePage recounts the research into Titan and the planning that led up to that encounter. As the United States and India seek closer ties, should space-based solar power be on the agenda? Jeff Foust reports on developments in that field, including a new joint initiative supported by a former Indian president. The Space Review looks at Falcon 9, solar power, British space policy, and apes. 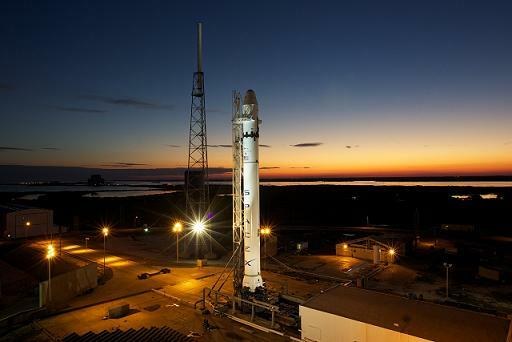 Jeff Foust reports on the successful test flight of SpaceX’s new Falcon 9 rocket and its implications for industry and policy. Like some other 1970s fads, space solar power (SSP) has enjoyed a comeback in the last few years. Dwayne Day contrasts the attention, or lack thereof, SSP received at a pair of recent conferences. A new coalition government has taken power in the UK shortly after the formal establishment of a national space agency. Andrew Weston hopes the new government will take the opportunity to revisit some long-held opposition to efforts such as launch vehicle development and human spaceflight. A speech by NASA administrator Charles Bolden at a recent space conference was interrupted by a woman protesting NASAâ€™s plans to perform experiments on monkeys. Dwayne Day wonders if that was really an effective way to get their point across. Europe’s biggest space company is seeking partners to fly a demonstration solar power mission in orbit. EADS Astrium says the satellite system would collect the Sun’s energy and transmit it to Earth via an infrared laser, to provide electricity. Space solar power has been talked about for more than 30 years. However, there have always been question marks over its cost, efficiency and safety. But Astrium believes the technology is close to proving its maturity. “Today we are not at an operational stage; it’s just a test,” said chief executive officer Francois Auque. “In order to implement a solution, of course, we would need to find partnerships and to invest, to develop operational systems,” he told BBC News. Peter Sage of Space Energy Inc. discusses his company’s plans to build space-based solar power satellites. Part 1 is above. You can watch Part 2 after the break. The Sunday, Jan. 10, 2010 edition of the Space Show features Dr. Phil Chapman. Dr. Chapman is a former astronaut and scientist. We will be discussing SSP economics, the Copenhagen Climate Conference and SSP, and much more. The program will air at the usual Sunday time, 12-1:30 PM PST. Dan Lester proposes using the Earth-Moon L1 point as a logical starting point for journeys beyond low Earth orbit. Bob Clarebrough looks back two centuries to the development of a different industry to find lessons of innovation for todayâ€™s space entrepreneurs. Taylor Dinerman warns that the US should not appear to be too eager to work with the Chinese. Dwayne Day describes a new Smithsonian exhibit that features two instruments that flew on the Hubble Space Telescope. Jeff Foust reviews a book that attempts to prove that space is the solution to our energy woes. But for the scientists and engineers attending the International Symposium on Solar Energy from Space, a three-day conference this week in Toronto, there’s nothing fictional about it. In their view, building massive space-based solar power systems represents, over the long term, one of the most effective ways of tackling the double menace of global warming and peak oil. 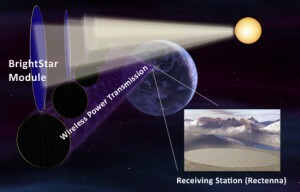 Could Space Elevators Make Solar Power Satellites Feasible? The government will by the end of this year start developing technologies designed to eventually beam electricity from solar panels in space down to the earth. A public solicitation for firms to participate in the endeavor will soon be made; the companies may be selected as early as next month. The government expects players in the electronics and heavy electric machinery industries to participate. 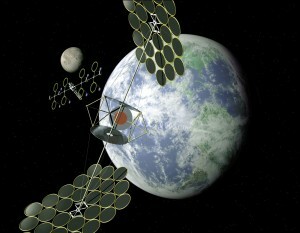 The hope is to commercialize orbital solar power by 2030. John Marburry offers a way for government to support the development of space-based solar power despite the current economic meltdown. Burke Fort, director of the director of the 8th Continent Project, describes how his group is helping foster the creation of companies that leverage space technology for terrestrial applications. Jeff Foust reports on plans by several teams to win the Lunar Lander Challenge. Taylor Dinerman worries that a U.N. effort to promote “sustainability” in space could be a power grab by the world body.